The McGill School of Architecture will be renamed the Peter Guo-hua Fu School of Architecture, in honour of a landmark gift from the illustrious architect. 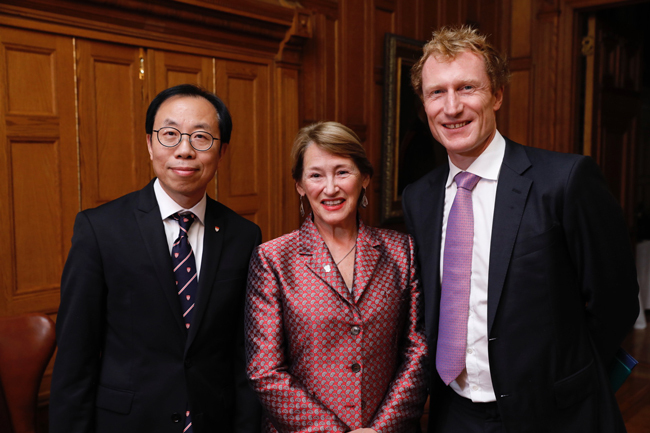 Fu came to McGill from China on a scholarship in 1990; much of the $12 million will create new scholarships, fellowships, travel awards, internships and summer research opportunities for the next generation of students. Illustrious Chinese architect Peter Guo-hua Fu, M.Arch’91, has shaped an estimated five million square meters of Shanghai’s urban landscape, including the Da’An Garden, the Dongjing International Office Complex and other high-rises studding the city’s spectacular skyline. Now Fu is setting his sights on a new project: taking McGill’s long history of world-class architecture education to the next level. 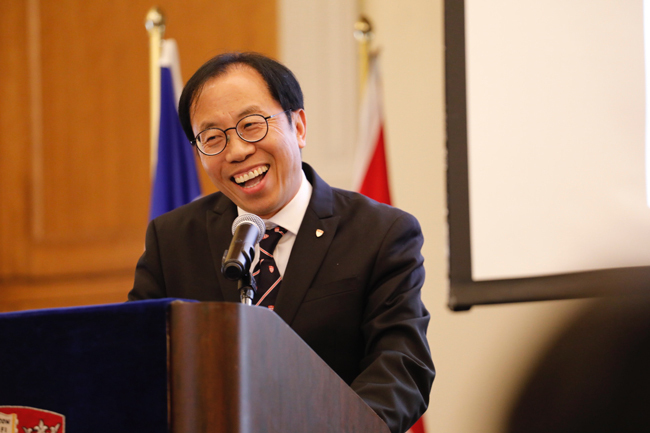 This afternoon, at the Faculty Club, Fu announced a $12-million gift to the McGill School of Architecture, which will be renamed, in perpetuity, the Peter Guo-hua Fu School of Architecture. The Consul General of China in Montreal, Mr. Peng Jingtao, joined McGill leaders and special guests at the event. Creating a range of scholarships, fellowships, travel awards, internships and summer research opportunities, including a new exchange agreement with Tongji University in Shanghai. The new Peter Guo-hua Fu Fellowships, for example, will be awarded to academically exceptional graduate students entering or enrolled in the School. Preference will be given to citizens of China. Establishing chairs and professorships that will build upon the existing world-class faculty by attracting visiting scholars and professors from around the world. Promoting travel, collaborative research and pilot projects, with an aim toward strengthening the School’s global partnerships with public and private institutions. Increasing outreach through public lectures, workshops and partnerships with schools, community groups and arts organizations. “I am delighted to be able to contribute to the excellence of architecture education at McGill,” said Fu. Fu’s gift reflects the gratitude he feels for his own education at McGill, and early career in Canada, a time he characterizes as “a truly transformative part of my life.” After earning his Master’s degree at Tongji University, he came to the McGill School of Architecture in 1990, aided by a Clifford C. F. Wong Fellowship, awarded to outstanding graduate students from China. After completing his McGill diploma in 1991, he worked for nine years in Toronto, first at Zeidler Partnership Architects, then B+H Architects. Fu returned to China and subsequently went on to establish his own firm, K.F. Stone Design International Inc. Canada. In addition to major residential and commercial projects, K.F. Stone is responsible for innovative ideas such as a multi-stage outdoor theatre built from discarded shipping containers. 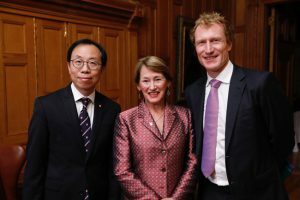 “In this, the 150th anniversary year of Canada, I am proud to express my deep appreciation and gratitude through this gift, which will provide more students in Canada and China with the opportunity to acquire an exceptional education in architecture and engage in new learning opportunities,” he said. 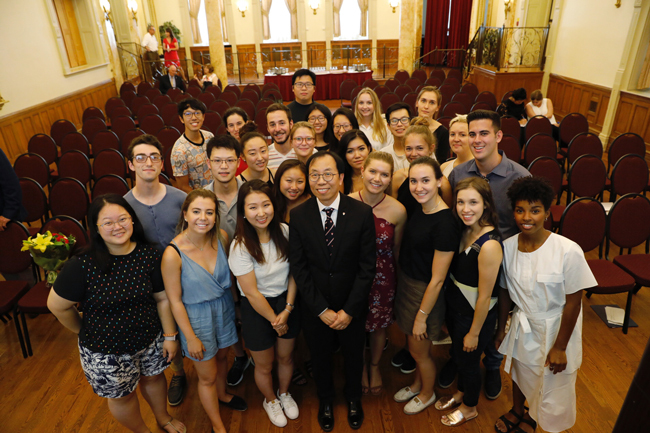 Although based in China, Fu retains strong ties with McGill, welcoming architecture students to intern at his company and serving as an adjunct professor at the School. Last October, he visited campus to participate in the 2016-17 edition of the School of Architecture’s annual Lecture Series, in which distinguished architects from around the world discuss their projects and careers. James has written for the Reporter since October 2000. He is a graduate of McGill and the University of Calgary, and is currently studying part-time at Simon Fraser University. He was a finalist in the 1978 Kelowna Kinsmen Club’s Essay Competition.